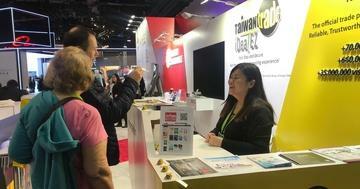 CES2019 is just around the corner, and Taiwantrade.com, Taiwan&apos;s most prominent B2B portal, will present a collection of IoT, smart home, robotic, and e-health products from excellent Taiwan consumer electric makers at South Hall 20636 of the Las Vegas Convention Center from January 8 to 11. AIFA is among the 10 companies that will be introducing their latest innovations at the Taiwantrade.com exhibit. With over 20 years of experience in creating universal remote controlled products, AIFA will be showcasing the "i-Ctrl Smart HomeKit" at this year&apos;s event in Las Vegas. Also joining the exhibit will be Maker hart Industrial Corp., a master of electronic and digital music technologies. The company will be demonstrating its newest audio mixers featuring advanced sensors and digital interfaces to empower the creative process for professional DJs and artists as well as everyday enthusiasts. The Taiwantrade.com exhibit will be joined by many other innovators just like AIFA and Maker hart who are dedicated to developing solutions that make everyday life smarter and better, including the world&apos;s 1st wearable device that measures glucose by electrochemistry technology and various high quality e-sport, robotics and IoT products. See the Taiwantrade.com online showcase "Smarter Everyday" (iot.taiwantrade.com) for a comprehensive list of all the excellent offers from Taiwan&apos;s top manufacturers. Home to over 70,000 excellent Taiwanese suppliers and 660,000 product catalogs, Taiwantrade.com enables users in over 200 countries to connect with Taiwan&apos;s leading industries. Each supplier member on the website is verified using government and third-party databases to ensure the reliability of their legal existence. Taiwantrade.com&apos;s sourcing services, which are available free for buyers, are aimed at helping businesses everywhere connect with the quality and reliable suppliers in Taiwan with speed and ease. Before the exhibition, “The Future is Smart: Taiwan Innovations for 2019 & Beyond” press conference will take place at 4 PM-5 PM on January 7 at Mandalay Bay South Convention Center, Lagoon K, where the winners of the 2019 Taiwan Excellence Awards and CES Innovation Awards, including Cyberlink, Eleclean, Innolux and Thunder Tiger, will present their latest offers. In addition, the conference will feature announcements about the AIoT trends from the Taiwan ICT industry that visitors can expect to see at COMPUTEX TAIPEI 2019. Taiwantrade.com is organized by the Taiwan government and operated by the Taiwan External Trade Development Council (TAITRA). The Taiwantrade.com exhibit is part of a joint showcase featuring Taiwan Excellence and theCOMPUTEX TAIPEI d&i Awards, which will be held at LVCC, South Hall 20636 on Jan. 8 to 11 during CES2019. 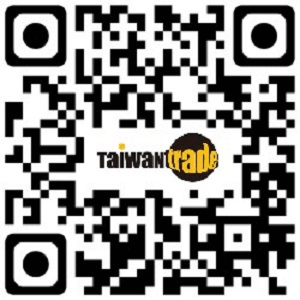 For more about Taiwantrade.com&apos;s buyer services, visit www.taiwantrade.com.